Vaikuntha Ekadashi is the 11 day (ekadasi day) of the bright fortnight (Shukla Paksha) of the Paush month of the Hindu calendar and Dec- Jan of the Gregorian calendar. 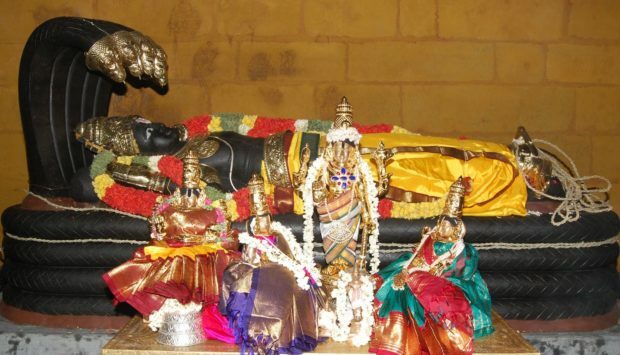 States that celebrate Vaikuntha Ekadasi? It is celebrated in all states of India. However it is known by different names in each state, in south India it is known as Mukkoti Ekadashi and is celebrated during the Marghazhi month. In Kerala it is known as Swargavathil Ekadashi. On this day generally the Vishnu Temple organizes special prayers, discourses, speeches and yagnas. Few renowed celebration of this festival are at the temples of ‘Tirumala Venkateswar Temple’at Tirupati, the ‘Mahalakshmi Temple’ at Gubbi, the ‘Sri Ranganathaswamy Temple’ at Srirangam and ‘Rajagopalaswamy Temple’ at Mannargudi is very renowned. The festivities are very grandeur particularly in South Indian temples that are dedicated to Lord Vishnu. The fasting on Vaikuntha ekadasi day is the same as the other ekadasi fast days. The devotees observe a strict fast without consuming food and water. The devotees eat only once during the dasami day. Devotees weho are not able to fast the whole day of Ekadasi consume fruits and milk. Eating rice and grains are not allowed on Ekadasi day – Know why? Devotees pray to Lord Vishnu and chat his name and sing praises of him. They don’t sleep during the ekadasi night. Instead they listen to his songs and praise Lord Vishnu. How is Vaikuntha Ekadasi day different from the other Ekadasi days? It is believed that on Vaikuntha ekadasi day the gates of Heaven are open. The Vishnu temple region is known to be the Vaikuntha Vasal. Hence large no. 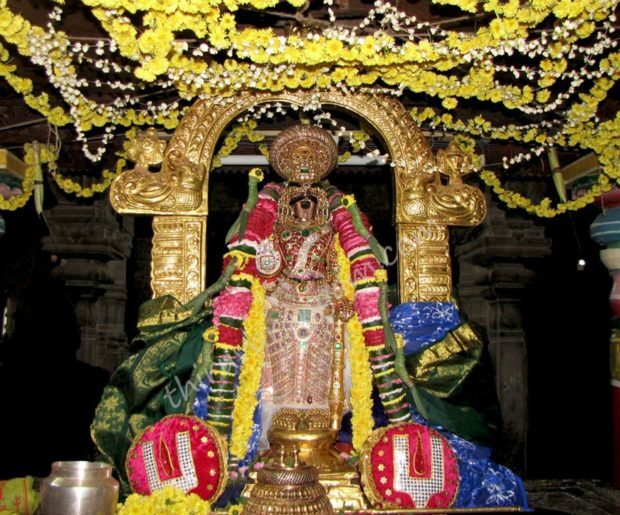 of devotees visit the Vishnu temple is evening of Vaikuntha ekadasi. As per Padma Purana, fasting on Vaikuntha ekadasi is equivalent to fasting on all the 23 Ekadashi days. Devotees who fast on this day are relieved from their sins and attain moksha. The Vaishnavites hold this Ekadasi high as they believe that on Vaikuntha ekadasi the Vaikuntha dwaram, i.e the gates to Vishnu’s abode are open and people who fast on this day don’t have to face Lord Yama, they reach Vishnu directly.